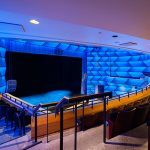 Diamond Schmitt Architects has repurposed the Toronto Centre for the Arts, transforming the existing auditorium into two venues: a 580-seat proscenium Lyric Theatre with a new stage, and a 300-seat flexible ‘black box’. 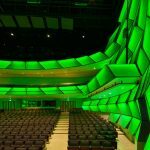 This unusual project called for a signature design feature that would effectively rearrange the proscenium, provide a distinct identity for the Centre and enhance the theatrical experience. 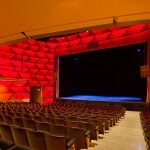 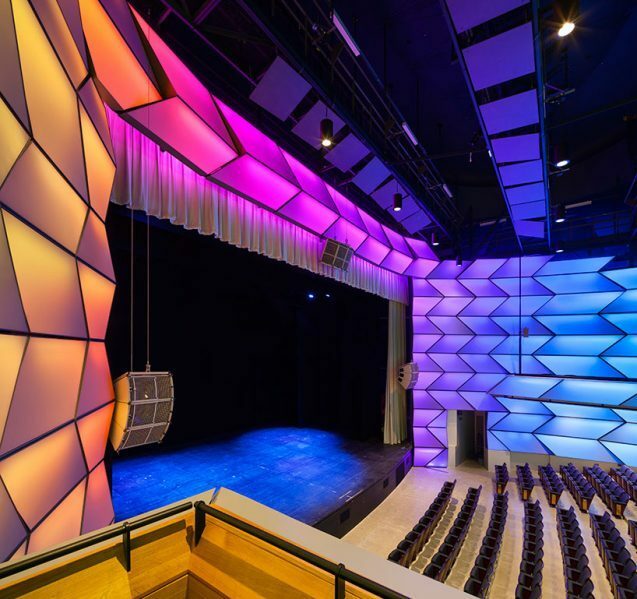 An innovative solution that addresses all three objectives is a system of lightweight architectural acoustic panels in bold geometric patterns that enwrap the audience and define the new proscenium. 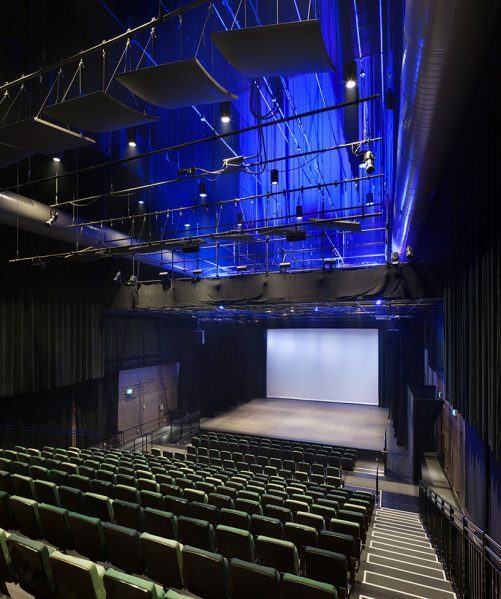 “The reconfiguration represents a sustainable design solution in that every effort was made to preserve and incorporate elements of the existing theatre, while at the same time, dramatically altering its appearance and functionality,” said Gary McCluskie, principal with Toronto-based Diamond Schmitt Architects. 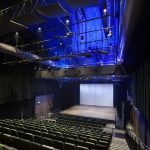 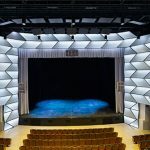 Renovations to create the Lyric Theatre involved designing a new stage complete with wings and an overhead truss with motorized rigging for technical support. 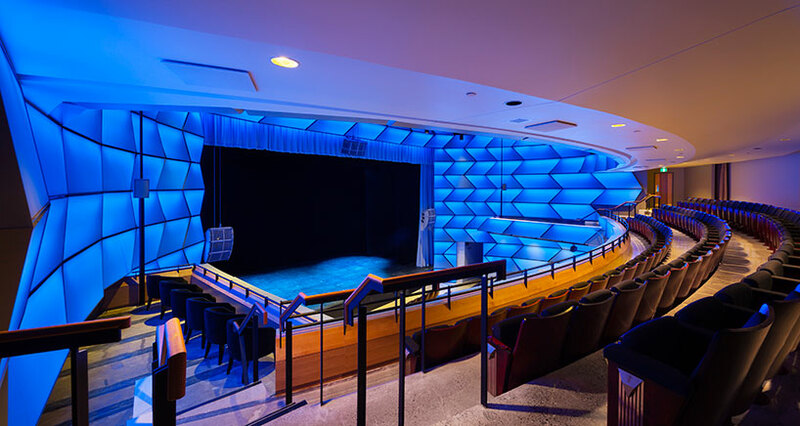 The existing rake of orchestra and balcony seating was adjusted to the geometry of new sightlines for the shorter viewing distance to the stage. 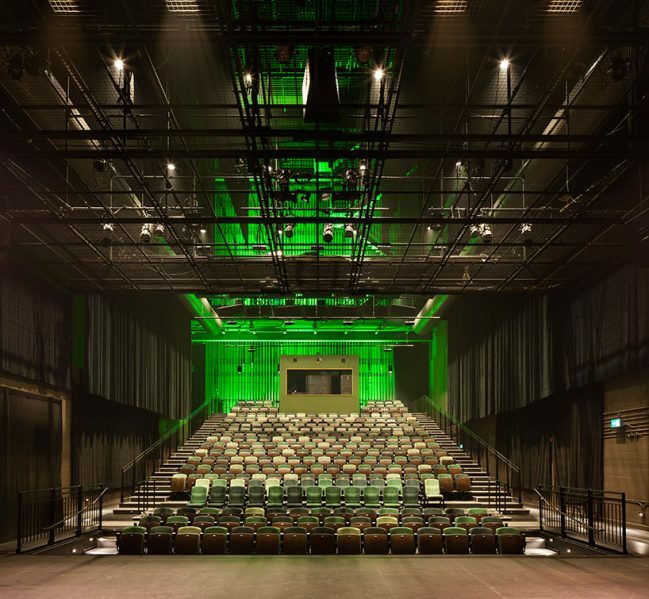 The 300-seat Greenwin Theatre occupies the stage of the previous configuration, taking advantage of the dramatic 90-foot height of the fly-tower for use in theatrical productions. 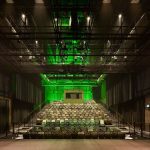 Retractable seating adds versatility to the space, which can also function as an open-floor studio. 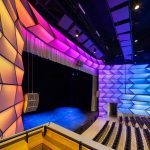 The repurposing won an Achievement Award in the small project category from the Toronto Construction Association, where both Diamond Schmitt Architects and constructor Gillam Group Inc were acknowledged. 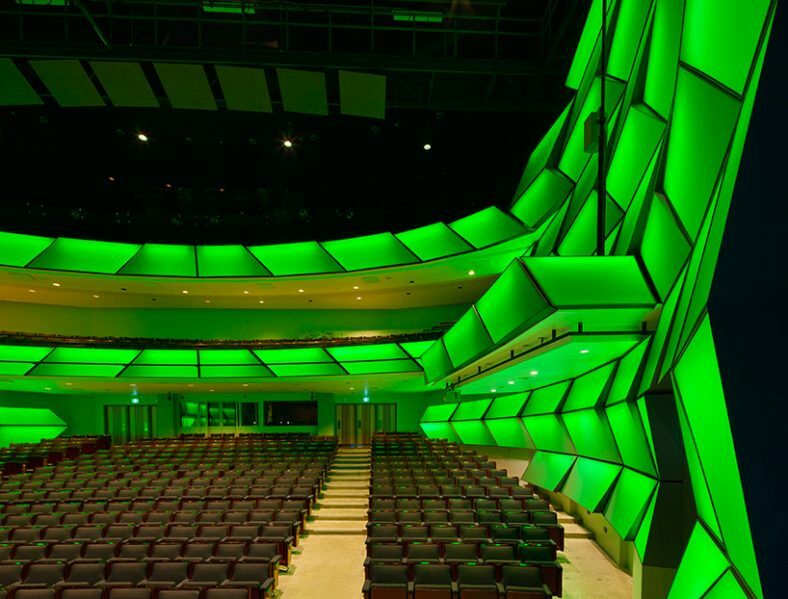 The award pays tribute to projects that raise the bar in terms of professional excellence.